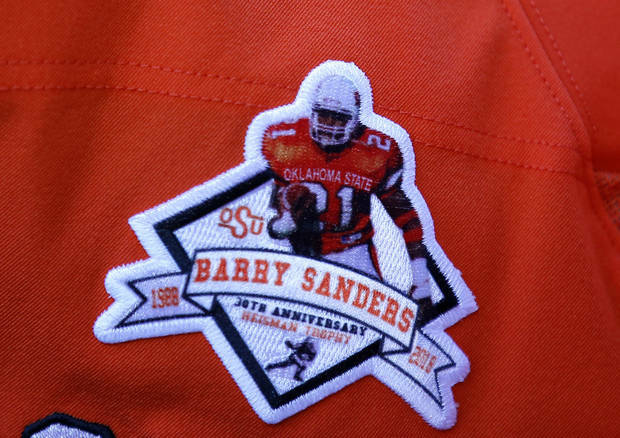 In a letter addressed to the “Oklahoma State Family,” 1988 Heisman Trophy winner and former OSU running back Barry Sanders thanked OSU for hosting him and his family two weeks ago as part of the Cowboys' homecoming weekend. Sanders and his offensive line, the War Pigs, served as homecoming grand marshals, while the Cowboys wore 1988 throwback uniforms for their homecoming victory against Texas. Sanders issued many thanks in the letter, including to coach Mike Gundy (Sanders' quarterback in 1988), the War Pigs and OSU fans. “This past weekend in Stillwater was an amazing experience,” Sanders wrote.